Michelle likes to think of herself as a body movement therapist. Having travelled from her homeland Brazil as a Biological Sciences graduate, she eventually found the field of Personal Training to complement her interest in human anatomy, movement and injury prevention. 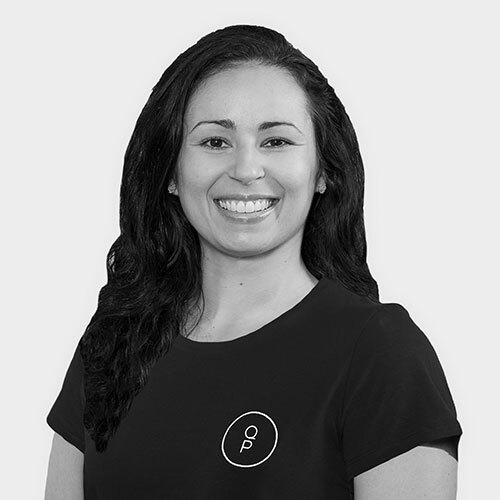 In order to enrich her skills, Michelle then started her training in Pilates in 2014 and was amazed to find a whole new world of flow, precision and movement awareness. Her focus is on encouraging one’s ability to be in control of their own body, respecting their own limits, therefore moving with ease and without pain through regular practice. When not teaching or practising Pilates herself, Michelle loves to do any of the beautiful walks Cairns has to offer.